Our work has expanded not only throughout the UK but internationally too. Sajda Mughal and the delegation. Left to right: third from left, Mr Louis Susman, former US Ambassador to the UK and fourth from left, Sajda Mughal from JAN Trust who led the delegation. 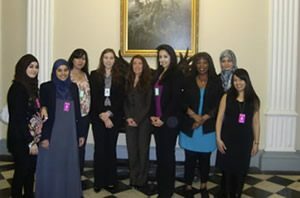 An eight member British Muslim women’s delegation from the UK visited the United States of America in April 2010 with JAN Trust as part of an exchange programme. 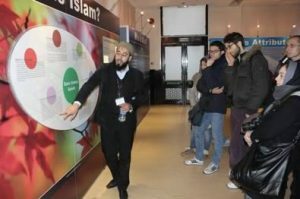 The aim was to explore Muslim life in the US, promote the British Muslim lifestyle and highlight how both countries have progressed since the terror attacks they faced in 2001 and 2005. Sajda Mughal from JAN Trust developed this project and led the group from JAN Trust. She promotes women’s empowerment and carries out extensive interfaith and cohesion work which stems from her experience as the only known Muslim survivor of 7/7 London bombings. 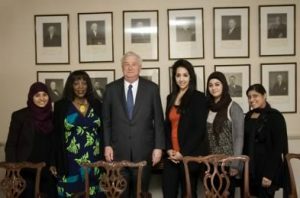 Sajda Mughal (fourth from left below) from JAN Trust was privileged to meet with the US Ambassador to the UK, Mr Louis Susman. He was intrigued to hear about our delegation to the US and was delighted that we had such a great experience and insight into the country. 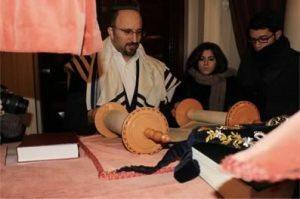 JAN Trust hosted an exchange with Italy of young people aged between 15 – 25 years of age, aimed at promoting better understanding between religions and cultures which explored the many different ‘faces’ of Europe. This exchange helped these youngsters see what cultural diversity actually means. What one Italian participant thought! We expanded on our work in India when a delegation led by our Director Sajda Mughal OBE visited the country. The delegation met with individuals from different social, educational and civil society organisations with the hope of improving understanding of the key interests and concerns of Muslims in India and having an opportunity to share the experiences of British Muslims.